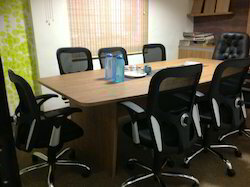 Leading Supplier and Manufacturer from Pune, our product range includes Wooden Office Tables such as Conference Table, Meeting Table, Manager Table, Director Table, 10 Seater Conference Table, Office Table and many more items. Our extensive product range also comprises a wide array of Meeting Table that is quite popular among our clients. Tested as per the international standards of quality, these products exhibit corrosion resistance and resistant to adverse weather conditions. We also customize the dimensions, designs and sizes of these products as per the specifications and requirements of our clients. Our clients have inspired us to manufacture and supply of a wide array of Manager Table. Customization in the dimensions of these products are as per the specifications and requirements of the clients is highly appreciated by them. These products are quite popular in the industry owing to its stylish design and look. We have a team of qualified professionals who help us test these products as per the international standards of quality to make sure it does not falter at the time of operation. 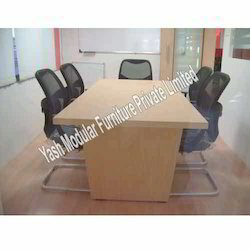 We also offer a wide range of Conference Table that is quite popular among our clients. Our specialized team of skilled and qualified professionals also manufacture these products in altered forms for the convenience of the clients in accordance to their requirements and specifications. Tested as per the international standards of quality, we also make sure that these products have the properties like low maintenance and robust construction. Our state of the art technology and acumen has given us the ability to manufacture a wide range of Director Table. Our clients can also avail these bags in varied designs and sizes as per their convenience and need. Specially designed with transparent glass, these tables are quite popular in the market. Raw material without any impurities is used for the manufacture of these products.
. Our advanced technology and state of the art facility has given us the capability to provide a wide range of 10 Seater Conference Table. 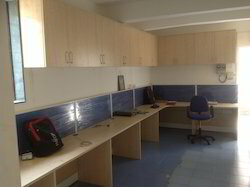 Customization of these products as per the specifications and requirements of our clients is one of our major forte. 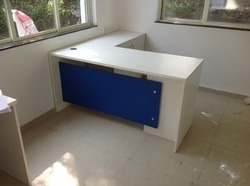 We have acquired the expertise for the manufacture of a wide range of Office Table. . We also customize these products as per the requirements and needs of our respected clients.These products have a very high demand in the market owing to its ergonomic design and stylish look. To furnish the diverse requirements of our clients in the best possible manner we are involved in offering an extensive range of Wooden Table.